Seattle may not be as old as some would expect from a haunted city. But it has a large number of haunted sites and stories. Spooked in Seattle will lead readers on a journey through Seattle’s neighborhoods and reveal the city’s public locations, history, and tales of strange encounters. For those who love to venture off into corners in search of ghosts and the unknown, this book will set readers forth in the right direction. 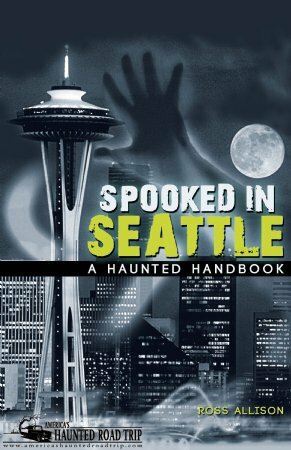 Spooked in Seattle features more than 150 haunted locations, historic and contemporary photos, top ten questions about ghosts, Seattle’s top ten most haunted places, location maps and addresses, Seattle history and haunted facts, Seattle cemeteries and tombstone symbols, and more.